Depending on your preference, three styling attachments with 360° in-use rotation allows for concentrated drying or a diffused flow to help create stunning curls. 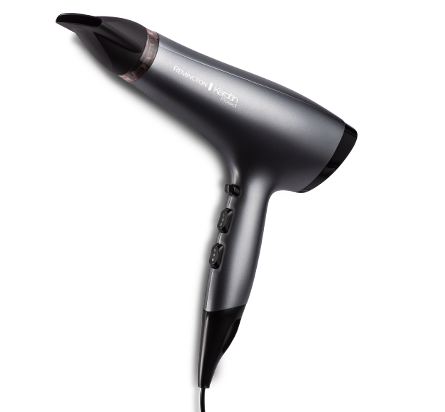 Introducing AIR3D, a revolutionary hair dryer designed for ultimate styling. 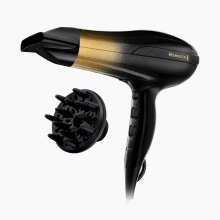 This innovative dryer has 2 x shine enhancing conditioning technology thanks to a ceramic grille infused with micro conditioners and an ionic generator which eliminate frizz and leave your hair sleek and shiny. AIR3D offers a modern and sleek look whilst being lightweight and easy to handle, it has been ergonomically designed for maximum comfort and control. The distinctive, compact head features a hollow core that lights up and glows either white or blue to signal hot or cold air from nozzle. A motor is located in the handle, making a quieter and lighter model that offers maximum comfort.